Yes...well, we are a bit late in announcing our current Caption Contest here, but better late than never! 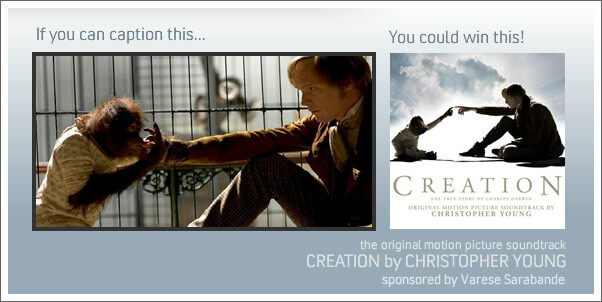 You still have well over a week to enter up to 3 captions for this scene from the new feature film, CREATION. The film centers on the life and struggles of Charles Darwin and features a beautifully compelling score by CHRISTOPHER YOUNG. Don't miss your chance to win one of early 2010's best scores.